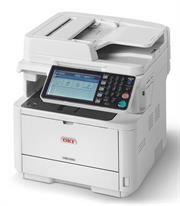 The MB492 black and white multifunction printer combines automatic duplex copying and printing, color and black and white scanning with scan-to capabilities and analog faxing. Ideal for demanding users, the high-performance multifunction printer delivers fast, efficient output at print speeds of 42ppm. 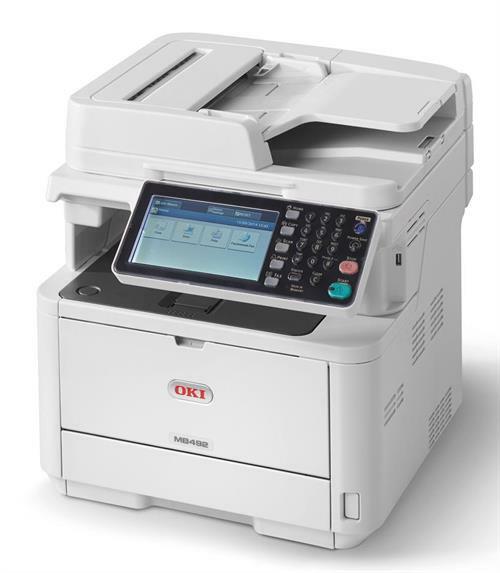 Meeting the needs of demanding users with rapid print speeds, advanced functionality and high-capacity toners, the 4-in-1 MB492 saves time and paper with automatic duplex copying, printing, scanning and fax functionality. Mobile print-ready and easy-to-use with a 7” tilting touch-screen, intuitive menu system, Gigabit networking and enhanced help function, the MB492dn is ideal for desktop and small workgroup who need to produce professional-looking documents.